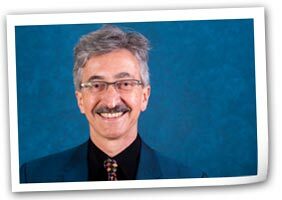 Music is part of the recipe in his kitchen Composer’s passions honed from his past. 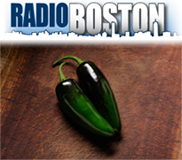 WBUR - Radio Boston: "You might call Rosi and Brian Amador pioneers on Boston’s Latin music scene. 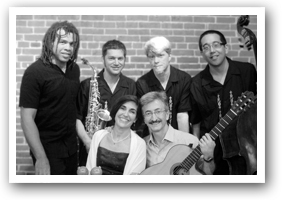 They founded their current ensemble, Sol y Canto, in the mid-1990s and have made their mark by inviting audiences, Spanish-speaking or not, into their world of Latin music and culture. "Last year, Amador won a coveted MacDowell Fellowship to create a new project for the group, a multi-media performance about music and food. He calls that project “Sabor y Memoria.” Sol y Canto will perform its new suite this weekend and we speak to Brian and Rosi Amador about food, music and the Latin scene in Boston." Visit the WBUR website and listen to the interview. "Cada Día un Regalo is ... unfailingly inspiring. The Amadors and their cohorts bring a tremendous virtuosity to their music." "It was our pleasure to host you here.Your energy, enthusiasm, and talent are infectious." On a late September afternoon, the Sawyer Theater at the Egg hosted a unique musical performance featuring a splendid collaboration between the six-piece pan-Latin ensemble Sol y Canto and the Sweet Plantain String Quartet…The second half of the afternoon’s performance, Sabor y Memoria was deliciously ambitious, to say the least! 'Sabor y Memoria' fue como el grupo musical 'Sol y Canto' tituló un espectáculo al que consideran único, pues es un concierto que promueve la sana alimentación a través del mensaje en sus canciones y los audiovisuales que presentan. "Es un festín musical en siete platillos, desde el aperitivo hasta el postre", expresó el guitarrista y compositor del grupo, el mexico-americano Brian Amador. Además, promueve el arte culinario y la música como unos de los mejores aportes de la inmigración latina a este país. "Creo que la música y la comida tienen el poder de transportarnos a nuestro lugar de origen", dijo Brian. Cada una de las canciones que el grupo tocara este viernes 25 en la Universidad Bryn Mawr hace referencia a uno de los platillos. "Por ejemplo una de las canciones habla del chile y dice 'estaba muy lejos de casa en un lugar ajeno cuando un olor a chile me llevó al terreno", explicó Brian. Mientras el grupo compuesto por seis integrantes realiza su presentación, habrá una serie de hologramas de un reconocido fotógrafo detrás de ellos. 'Sol y Canto' está establecido en Boston, MA, se fundó en 1994 y consiste en un ensamble acústico de ritmos latinos y del Caribe, es liderado por Brian y su esposa, Rosi Amador, la cantante principal, mitad boricua mitad argentina, quien además es graduada de Mawr. "Me siento sumamente orgullosa de volver a Mawr, sobretodo porque se trata de la celebración de los 125 años de la universidad y para eso decidieron traer a una mujer que ha logrado algo notable y eso me hace sentir muy honrada", dijo Rosi. En el evento, que se llavará a cabo a las 8 pm en el auditorio McPherson del edificio Goodhart Hall, también se presentará junto con 'Sol y Canto', el cuarteto de cuerdas 'Sweet Plantain'. El espectáculo es gratuito para los alumnos de Mawr, y para el público el costo será entre 5 y 20 dólares. In spite of personnel changes during their quarter century, this Boston-based band has maintained a steadfast Pan-Latin tinge entirely their own. 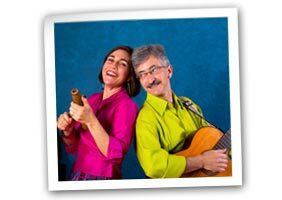 A constant has been the leadership of guitarist/singer-songwriter Brian Amador and his wife, Rosi, sensitive interpreters of Chilean, Venezuelan, Cuban, and Mexican traditional folk songs, as well as original tunes with those flavors. This is the most diverse and accomplished album of Sol y Canto's career, opening with a dramatic burst of jazz-flamenco singing and closing with an aptly named instrumental titled "Like Flying." Midway is a penultimate romantic Cuban ditty about kissing. Rosi's vocals winningly modulate from coolly coy to warmly committed. "Soaring over Brian's finely picked guitar playing, Rosi's crystalline Spanish vocals transcend language differences...The Amadors and Sol y Canto deliver their most personal recording yet...[They] have continued to redefine Afro-Latin music...for nearly two decades. "Sublime ambassadors of pan-Latin tradition. . .Sol y Canto is … destined for international renown … Rosi has a voice like clean spring water: it's smooth, it's clear and, somehow, you come to believe that it's necessary for life." "With simplicity, tenderness and extraordinary professionalism, Sol y Canto renders a beautiful homage to Latin American music." "This music is so full of high spirits and energy that at times the players sound ready to leave the ground. . . . makes romantic and very danceable music drawn from several Latin American traditions: Cuban son, Peruvian lando, and Puerto Rican bomba, to name a few. Brian Amador is a superb guitarist with a crystalline tone whose playing and compositions reflect his deep knowledge of traditional styles as well as a more contemporary harmonic vocabulary." "The group's leaders, the husband-and-wife team of Brian and Rosi Amador, create a musical marriage made in heaven. Brian is an inventive nylon-string guitarist, vocalist and composer; Rosi is a highly instinctive mezzo-soprano." "...they preserve much of the instrumentation and sassiness of the music of Cuba, the Caribbean, Brazil and Argentina, but they also breathe new life into the music with exciting arrangements, standout vocals and top-notch playing. 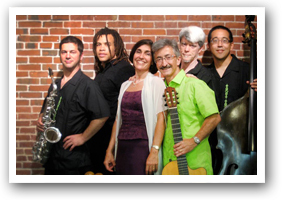 Sol y Canto's music is so lively and infectious..."
"Sol y Canto have become one of the strongest Afro-Latin bands around. 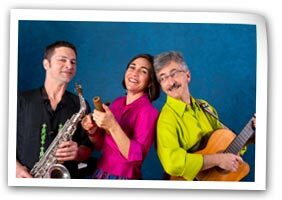 They cover a range of songs styles from tango to flamenco and beyond, their vocal harmonies are peerless, and they value top-shelf jazz improvisation." " ...boasts a sweet, sophisticated Pan-Latin folk sound built around the gorgeous mezzo soprano and the vocal harmony and pristine guitar of her husband, Brian." "Given the current groundswell of Latin music across the U.S. , it takes mucho individuality for one band to pull away from the pack. Boston's Sol y Canto has done exactly that!" Con quince años en la batalla, y cuatro grabaciones a su haber, el grupo Son y Canto regresa con una bella producción, "Cada Día un Regalo", sin lugar a dudas una de las mejores del 2008. Cuan vino añejo, Sol y Canto, bajo el liderazgo del matrimonio actual y musical de Brian Amador (guitarras) y Rosi Amador (voz y bongó), sabe mejor con pasar el tiempo. "Cada Día un Regalo" es una delicia para el alma. "Ojo por Ojo", descrita como una rumba flamenca, arranca elegantemente el compacto, donde la voz de Rosi inmediatamente nos llega al corazón. Le sigue una nueva y sabrosa versión del clásico de Pedro Flores, "Obsesión", a manera de son montuno / chachacha. Me llegaron al corazón también "Imagen de ti", un exuberante huapango mexicano; "Credo", pieza del folclor argentino; una nueva versión de la siempre conmovedora "La llorona"; "Hasta la Luna", tierno tema dedicado a las hijas de Brian y Rosi; "Beso Discreto", un sabrosísimo son montuno de la pluma de Miguel Matamoros; y "Manifiesto", otro número que nos toca las entrañas. "Cada Día un Regalo" no sólo tiene buenos arreglos y buenas letras, sino que también le rinde homenaje a la música de nuestros países y nuestros autores. Existen grabaciones que lo hacen a uno sentirse bien y con emociones positivas. "Cada Día un Regalo" definitivamente es una de ellas. Cada Día un Regalo was selected as one of Hispanic Magazine's Top Picks! Our fabulous publicists, Rock, Paper, Scissors also gathered reviews. "Sol y Canto provides just the right ingredients and engaging rhythms, fine instrumentalists, beautiful singing and a hot string quartet topped with colorful imagery to make Sabor y Memoria an event to savor long after the band leaves the stage"
"Sol y Canto delivered a high energy, infectious concert of original and traditional Latin American music that had our audience dancing in the aisles and in front of the stage. And by all means, if you can, have them conduct their interactive lecture demonstration for your community. Our students and faculty were thanking me the rest of the week for bringing them to the College." "Rosi and her husband, Brian, performed at one of our all-school meetings earlier this month. The audience consisted of 300+ boys, ages 10-15, and all of their teachers. Despite the diversity of ages, Rosi and Brian had them all completely engaged. Boys from every age group scrambled for the chance to get on stage and perform a song and dance from Rosi's childhood. They sang and clapped along with gusto throughout the show. Finally, when Rosi and Brian asked for questions, more hands went into the air than I have ever seen at a Fenn assembly. Tellingly, the questions were very thoughtful and original - the boys had been completely pulled in not only by the quality of the music, but by the lyricism of the stories and the magnetism of Rosi and Brian's personality. Their performance was rich in content and was presented in a way that reached the 4th graders while making the 9th graders stretch. They are truly gifted performers. "After the performance, I had several teachers come up to me to say they were blown away by the music and by the way the boys had related to Brian and Rosi. That connection was real and very exciting to experience. "Any school would be lucky to experience what all of us at Fenn had the privilege to be a part of." "Many thanks for a wonderful concert…an exceptional night of music, culture and history!" "I am convinced that everyone has a part of their soul that responds to Latin music whether or not they are aware of it. Sol y Canto reaches that part of the soul and fulfills it to the max. Regardless of nationality, everyone is Latin when Sol y Canto performs, if not at the start of the concert, definitely by the end." "It was our pleasure to host you here. Your energy, enthusiasm, and talent are infectious." "You guys were magnificent today Friday in Sanders Theater with the Boston Modern Orchestra Project! Brian, you are a real composer. All of those songs of yours are distinctive and first-rate. And of course Rosi's great singing and affectionate, charismatic presence filled the hall and carried the evening." Art and music are what elevate us as spiritual people, and bring us all closer to a global family under God. Your music and your message of optimism and of love are so important for all of us to hear…After watching too much TV and reading too much in the newspapers, my wife and I decided it was time to live. So last night, we lit candles, set the table, and put En Todo Momento on the stereo while we ate dinner. It was wonderful. You affect so many lives in such a positive way, and you should be blessed for it." "I am a graduate student in education, and hearing you and seeing what you are about, both the love you share in your performance and the love you spread, was truly inspiring. Sometimes when I spend too much time in the library or in front of the computer, I forget why I am in this field in the first place (to improve schools like Cambridge Rindge and Latin, my alma mater). Anyway, I just wanted to thank you for a wonderful and important time." What a special night. It was one year ago that I heard you for the first time, at Sanders. The array of your selections showed the balance of your skills as a group, and with a range of compositions from hot and rhythmic to children to the song of my llanos de Venezuela, to the 'performance integral' of the brown rice song where each of you got enough chance to shine. Brian, your composition was rich and unfolded through each of the colors and shades. "I love how you sang to us, it was really exciting. I liked the songs because they were about kids." "Thank you for being here. I loved all of your songs, that was my best school day ever." "I think Sol y Canto is the best music group ever. I have the Sol y Canto CD and I love your music." "I do want you to keep ...making your music, because when your group puts the lyrics together, they sound magical." "I realized that you guys created a mood depending on the type of music you were playing. You are a very active group as towards audiences." "What I Really liked about your program is the different beats and sounds in your music, and how they all blend into this amazing song." Rosi & Brian, SyC Trio with Tim Mayer 2011, and Brian Amador 2011 - photos by Paul Marotta; the next three, SyC Sextet (2 color, 1 b&W) - photos by Roz Cummins; Sol y Canto Quintet, Sol y Canto in action, and Sol y Canto Quintet 2 - photos by Susan Wilson; Rosi and Brian and Rosi and Brian with Guitar - photos by Rick Grossman.